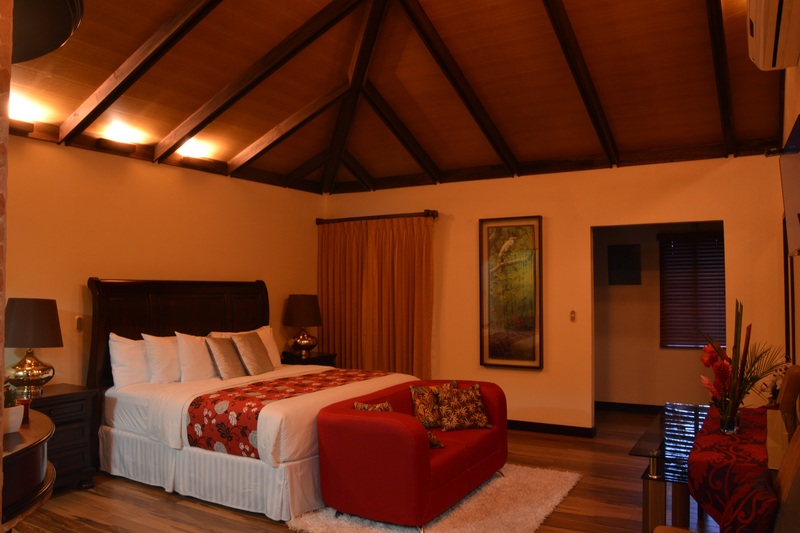 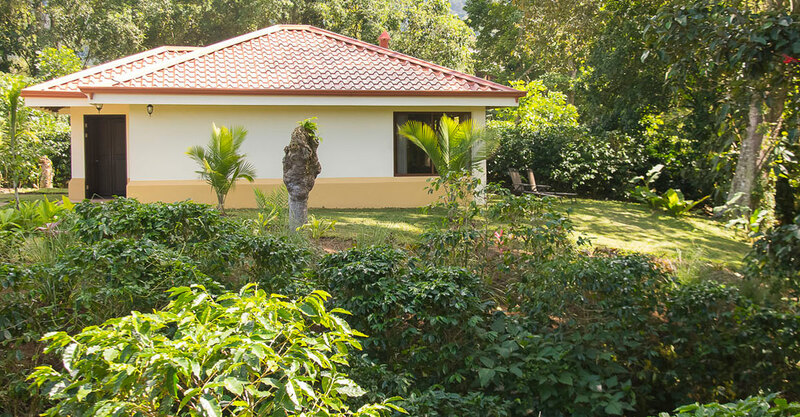 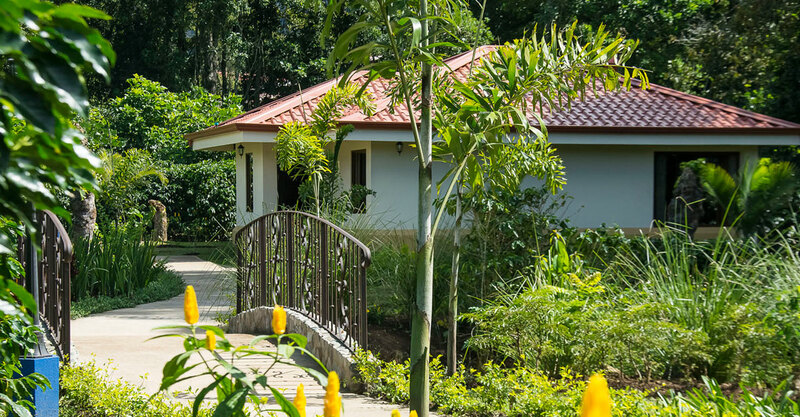 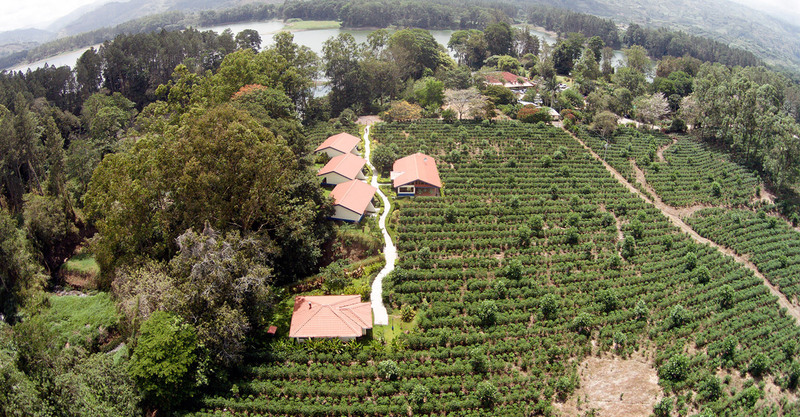 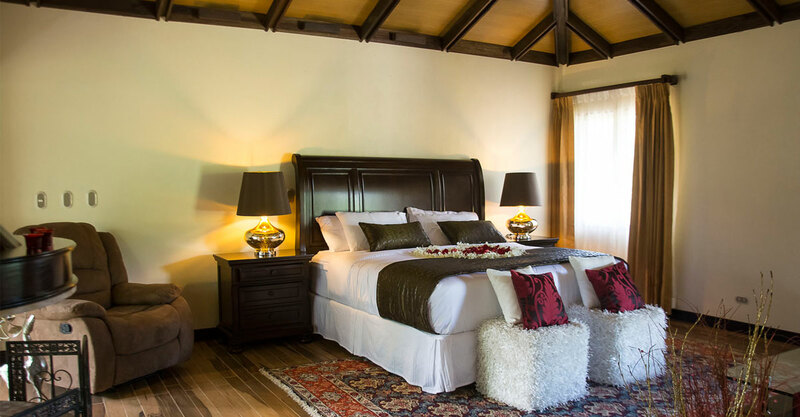 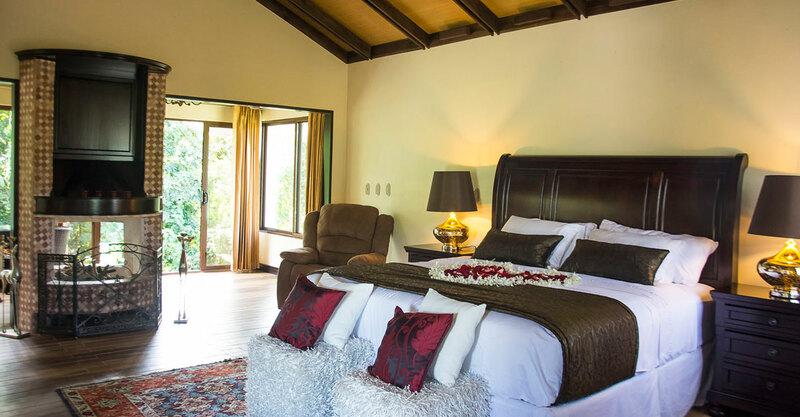 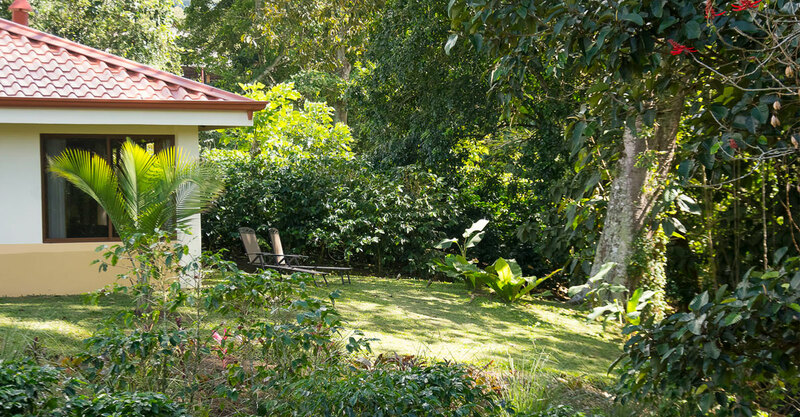 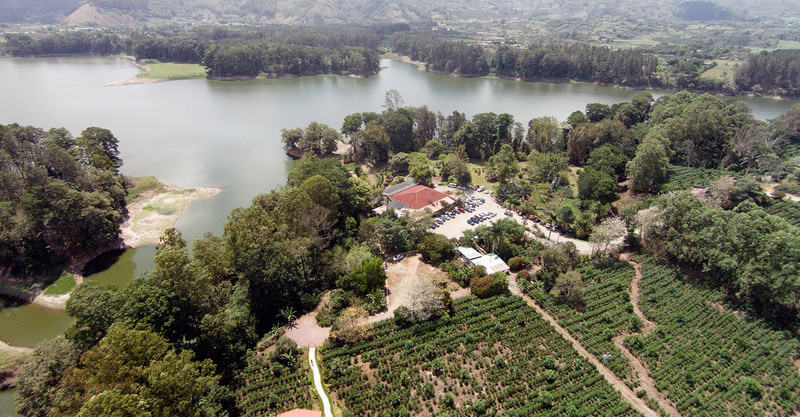 120 square meters of elegance in our coffee plantation. 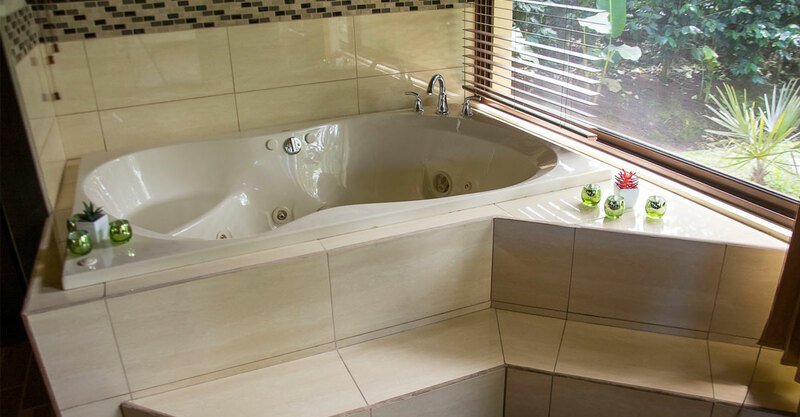 A very private and intimate suite equipped with a king size bed, jacuzzi, air conditioner, mini bar, safety deposit box, hair dryer, phone, free Wi-Fi, high definition TV with satellite. 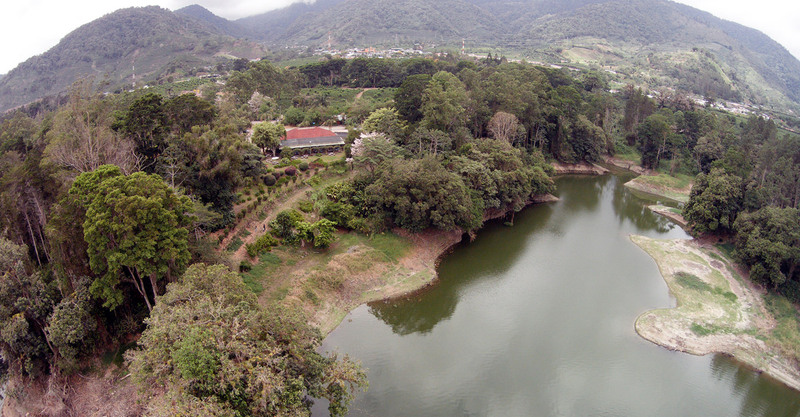 A spectacular view of the Turrialba volcano. 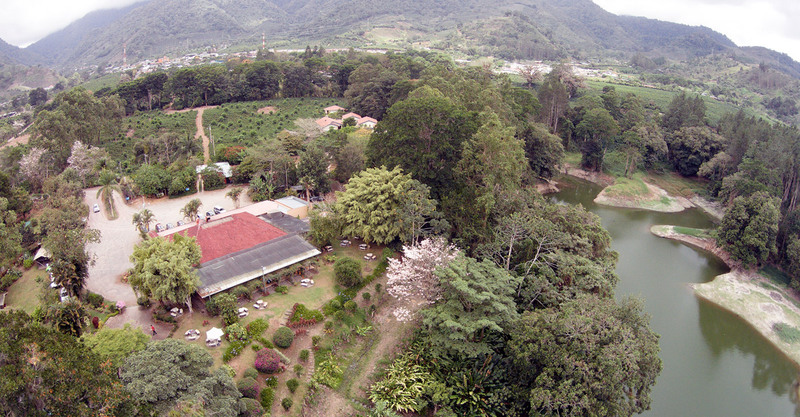 At night, the background noise includes the river trickling down to the lake, frogs and night birds. 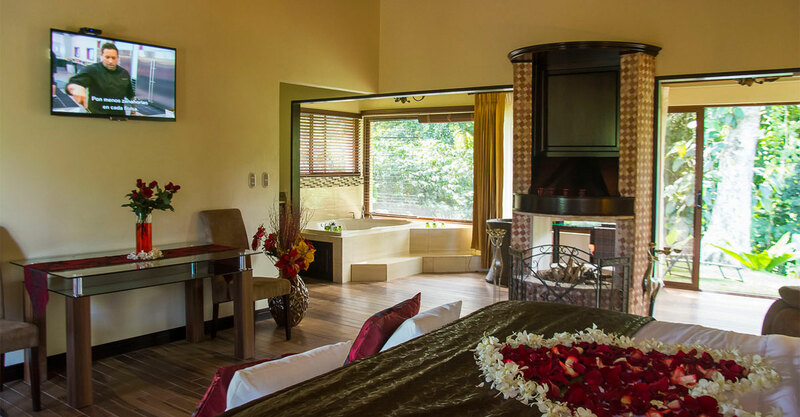 You will feel in complete harmony with nature and will always remember this special evening. 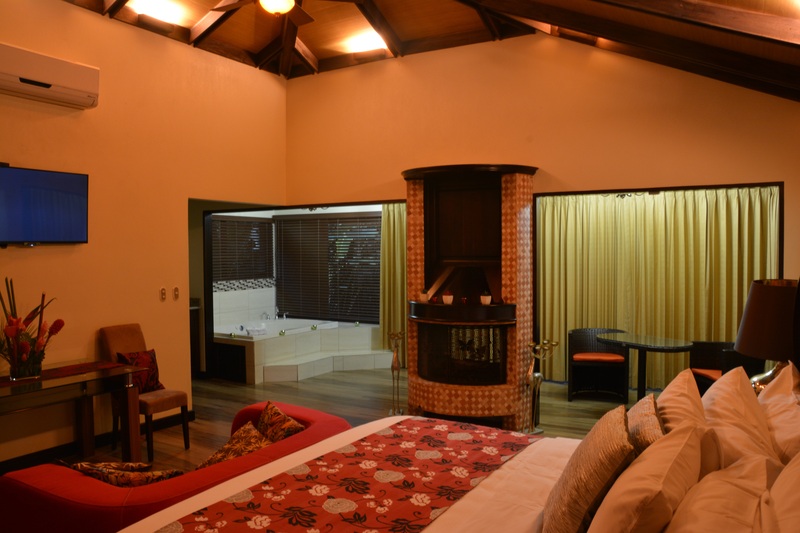 This suite is ideal for your honeymoon. 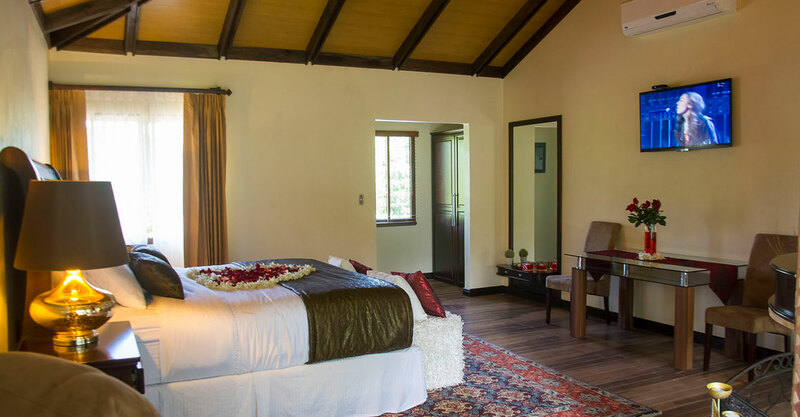 To celebrate your wedding anniversary or simply to escape routine in a wonderful place where you don’t have to worry about a thing and can relax. 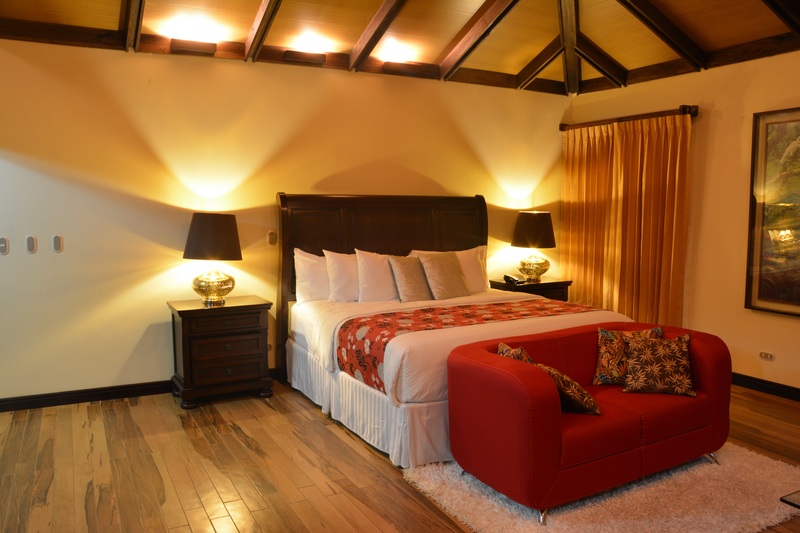 Prices: $200 tax included for double occupancy.